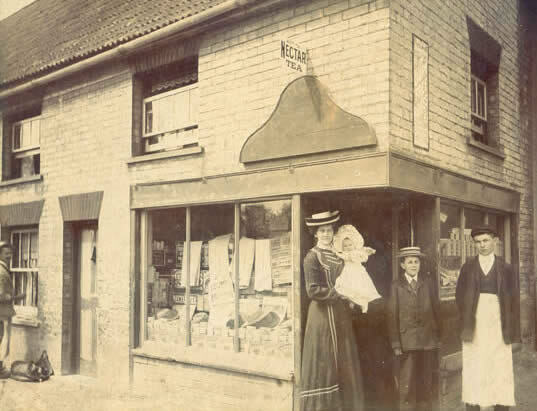 This is Twitchett's Shop in Pakenham, Suffolk around 1904. Three Generations of Twitchett's ran the shop until it closed in the 1960's. I hope this web site will be of help to you if you have an interest in Twitchett Family History. I hope it will help you move forward (or backward) with your research and put you in touch with other like minded individuals! These old photos are fascinating! What do you reckon the man on the far left is up to?